Spring has finally sprung, which means the Kentucky Derby is upon us. While many people will flock to Kentucky to join in the festivities, the rest of us who aren't planning a trip to the event will have to watch the Kentucky Derby from the comfort of our homes, when the 141st running of the Kentucky Derby takes place on Saturday, May 2nd. The celebration will be held in Louisville, Kentucky at Churchill Downs, where it has been held every single year since 1875. Don't be deceived: This isn't your grandma's horse race. The Kentucky Derby has been coined "The Greatest Two Minutes In Sports," as its official website points out, and it's easy to see why — the excess of old-timey mint juleps isn’t the only reason why the Kentucky Derby is a thoroughly enjoyable event. There are several other traditions that Derby organizers and attendees relish in year after year — for instance, since 1921, the University of Louisville Marching Band has played “My Old Kentucky Home” as the horses are paraded before the grandstand, and, in 2006, Derby fans launched a new tradition: The Oaks Lily is now served at the event, as a modern alternative to those delicious mint juleps. If you want to tune into the fun, NBC will be broadcasting the race on Saturday, May 2. Still not convinced? Here are the seven best parts of watching the Kentucky Derby to get you excited for the big day. Churches on Easter Sunday are probably the only other time during the year when hats of such grandeur are worn out in public. These magnificent hats are reason enough to watch the Derby. Covered in bows, tulle, feathers, flowers — and everything in between — the hats at the Kentucky Derby are the outfit. Move over, royal baby name watch: the Kentucky Derby horses names are both majestic and rather odd at times. From the number one ranked Ocho Ocho Ocho, to International Star and Itsaknockout, listening to the announcer call out these horses' names is more than enough excitement for me. Who doesn't love stunning flowers? Every year, the winner of the Derby is awarded with a luxurious bouquet of 554 roses. 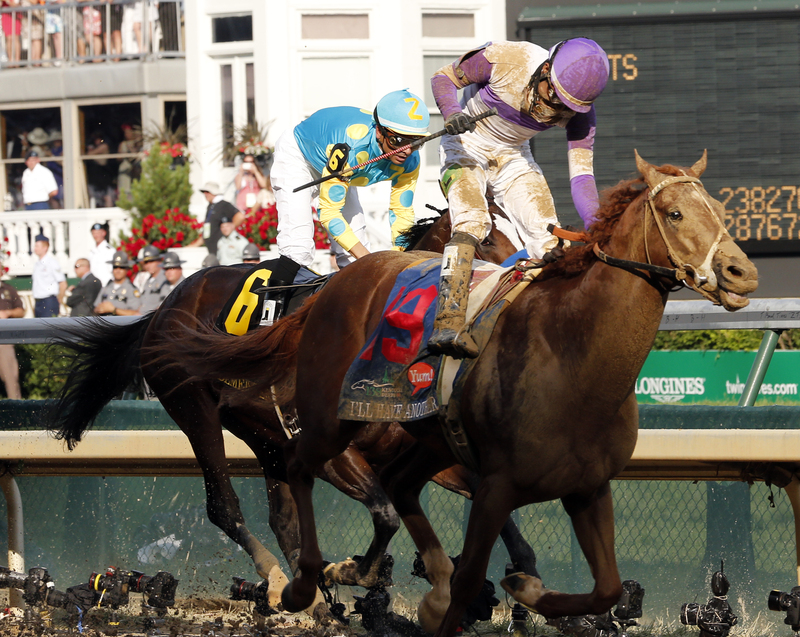 Because of this tradition, the Kentucky Derby is often referred to as "The Run for the Roses." Who doesn't love a good celeb sighting? Like any event worth its salt, the Derby beckons tons of celebrities to the festivities: Past celeb attendees have included the Kardashians, Lauren Conrad, Miranda Lambert, Anne Hathaway, Shaquille O'Neal, and many more. I realize I said that the hats made the outfit — but, to be fair, the clothing itself is certainly something to look at as well. From pastel blazers to gorgeous, spring ensembles, it's clear that Derby attendees come to be seen. No one does extravagance like the rich and famous. The lush box seats at the Kentucky Derby are aptly named Millionaire's Row, and include VIP access, gift bags, and hotel accommodations. If you can't be at the Derby, you may as well revel in the splendor that is Millionaire's Row (from the comfort of your couch, that is). Nothing gets my adrenaline going more than watching things move so fast, the Energizer Bunny would be left in the dust. Though the race is only one and a quarter miles, it's still super exciting to witness.